Note: Goods & Services Tax (GST) will be applied to commission charges. Commission and exchange fees may be subject to change without prior notice. Please click here for custodian charges. Italian financial transaction tax (“IFTT”) is applicable to buy trades on Hong Kong-listed Italian companies with market capitalization more than Euro 500 million. The applicable tax rate was 0.22% in 2013 and 0.2% from 1st January 2014. Price Quote1 20 minutes delayed. To access live price quote, click on the counter. The Volatility Control Mechanism (VCM) will be implemented by HKEx on 22 August 2016. Please click here to find out more. Note: To participate in pre-opening, orders have to be entered and received before 9:15 am. Pre-opening orders will be matched at 9.20am. Phase 1 of the CAS will only cover all Hang Seng Composite LargeCap and MidCap index constituent stocks, H shares which have corresponding A shares listed on the exchanges in Mainland China, and all Exchange Traded Funds (ETFs) (together the CAS securities). For list of securities available, click here. Note: For payment methods, please click here. Hong Kong Stock Exchange (SEHK) live prices service are available on a monthly subscription with 1,700 POEMS reward points or full payment of S$45. For detailed information, please click here. a) Singapore public holiday - The due date will follow the traded market's due date. To comply with the requirement of any relevant law or regulatory authority..
To my/our telephone contact number(s) by way of voice, text (SMS/MMS), fax, VOIP-based smart phone application such as Whatsapp, Viber, etc. Where required under certain circumstances, transfer my/our Personal Data to PSPL’s associated group companies, third party service providers and agents, whether in or outside of Singapore, for the Purposes stated above. I/We understand that I/we am/are entitled to withdraw my/our consent for the collection, use and disclosure of my/our Personal Data at any point in time by notifying the Data Protection Officer (contact details available on www.phillip.com.sg) in writing. I/We have been advised and understand that my/our withdrawal of consent may cause PSPL to be unable to provide me/us services which PSPL may be contractually obliged to provide. Subscribe to our mailing list for regular updates on promotions and seminars information on global equities. 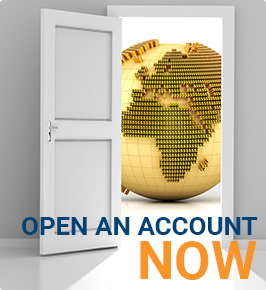 Open an account with us to receive market updates!